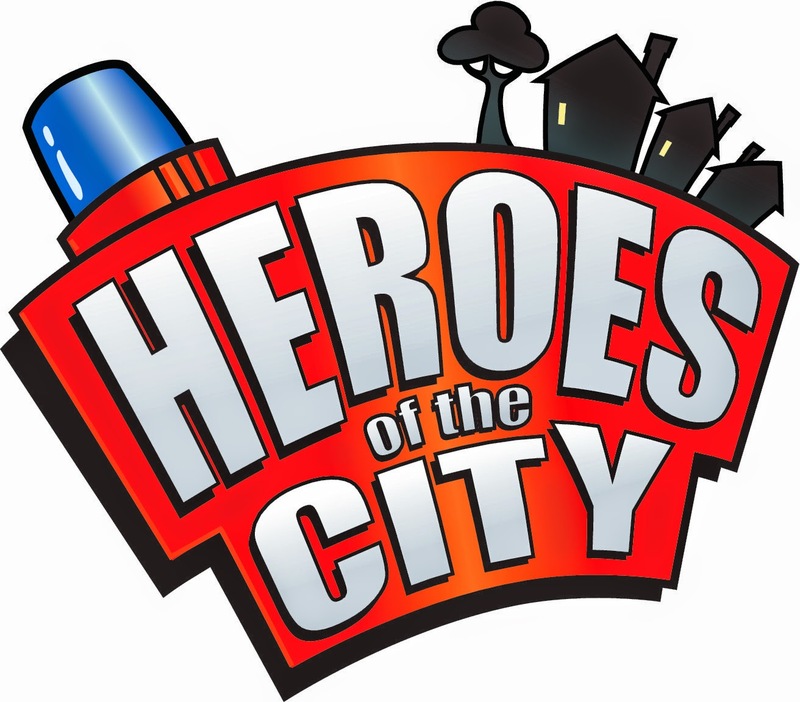 Heroes of the city on youtube- a review and giveaway! Technology and the way we evolve and live with it, really makes me think at times. A few years ago in the UK, I remember when we got our 5th tv channel (yes, thats right, we only had 5 TV channels!). Now, we think nothing of all the channels available nut it doesn’t stop there. I find more and more that if my son wants to watch something in particular, we turn to youtube either on my phone or television. I was asked to review a youtube channel called ‘Heroes of the City’. As soon as I was asked, I knew I had to say yes as we already watch! The motto is ‘everyone can be a hero’ and there is a strong message of friendship and teamwork. 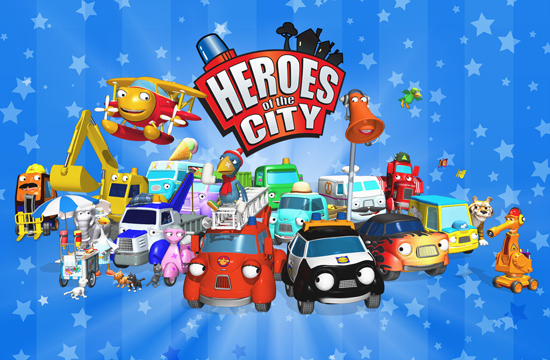 There are lots of characters- a fire engine, tractor, airplane, police car, digger, boat, hot rod and many more. A post van with aspirations is able to become a hero and help. 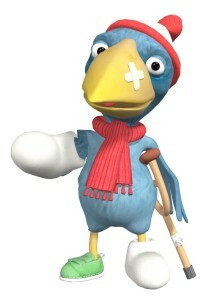 The story always involves Calamity Crow. The poor crow has a plaster on his beak and goes about his business, fishing, meeting friends or getting an ice cream but always finds himself in a pickle! My son LOVES the show. He especially likes episode 10 ‘The Treasure Map’, as it involves Digsy the Digger. I was also sent a pack of goodies for my son and there’s one for you too! 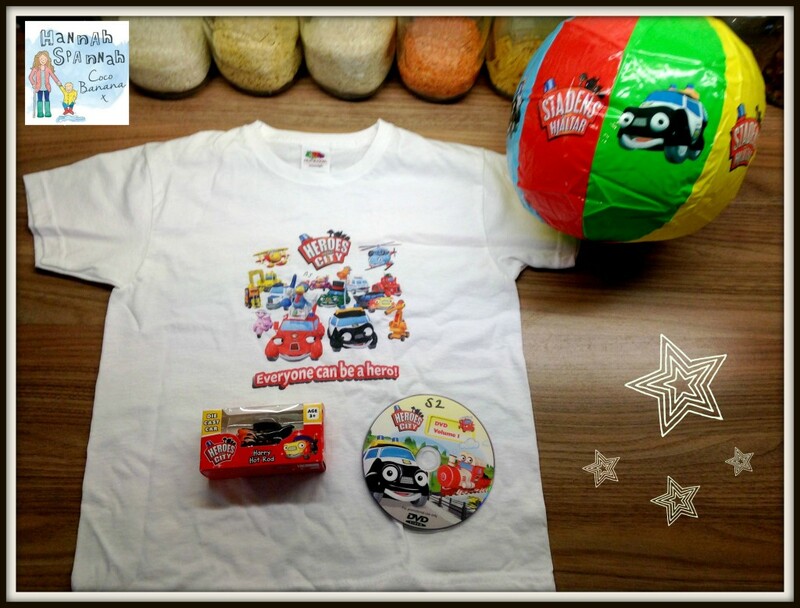 The pack contains a t-shirt in one of the following sizes of your choice, a die cast vehicle from the show, a dvd which is handy for on the go and a blow up ball featuring the police car. As you can see, my little man was overjoyed with the goodies. 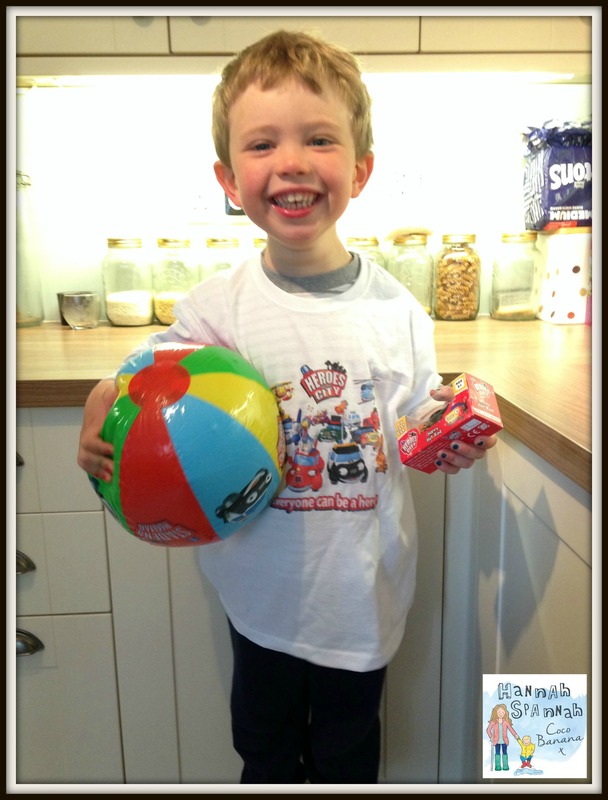 We’ve had lots of catching practice with the ball, the t-shirt hasn’t been taken off and he thinks the car is great. If you would like to win then enter the competition below. 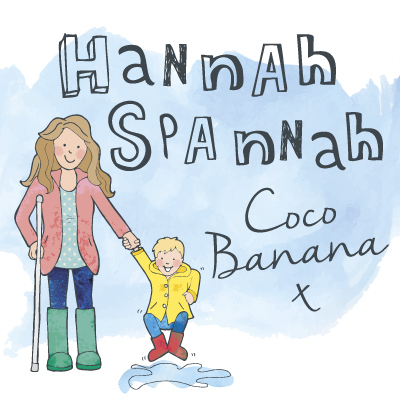 Take a look at the channel and see what you think- I bet your little one will be mesmerised! If you are not a user of youtube and are unsure as to how to find this channel, I’ve made a quick ‘how too guide’ for a computer and Iphone/ipad. Click here to read. As always, I was sent the goodies for free and asked to review the channel but all opinions are my own. ← What does it feel like to have a c section? Aw he looks chuffed to bits with his goodies. 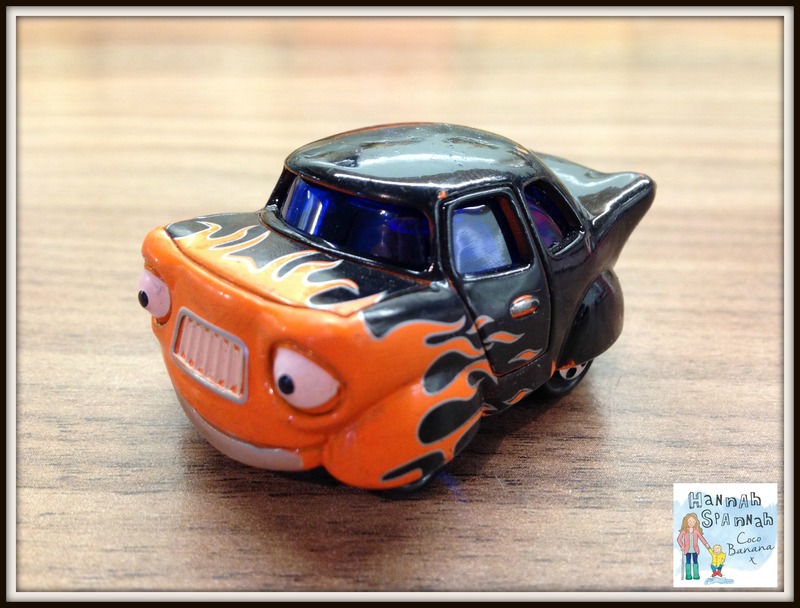 My little boy used to love this, but now he’s 6, he thinks he’s too old for it – sob! Oh, that’s a shame! Why do they grow up so quickly?! 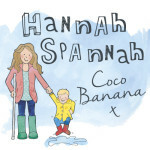 fab giveaway my little boy would love it !! Thanks! Fingers crossed for you and your little one! how lovely! my little Grandson would love these! Oh, great Anthony! Fingers crossed for you and your grandson!